Metallica recently streamed a live video of them performing their 1983 song “Phantom Lord” during their January 30 show at the US Bank Arena Cincinnati, OH. The last time they played it was last year at Philadelphia’s Wells Fargo Center and that was the first time they performed the track in five years! 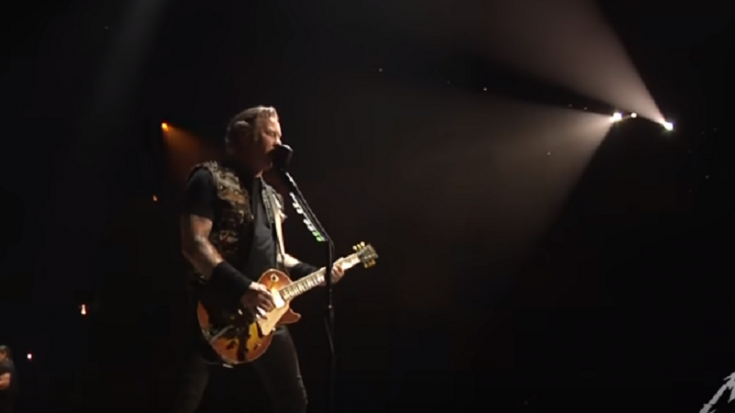 It’s a powerhouse performance with James Hetfield killing it with his vocals. How can a man in his 50s still sound so much like his younger self during their heyday? That’s seriously not easy to accomplish but Hetfield delivered the goods! Special Event Metallica ticket packages will include a game ticket and a limited-edition Metallica/Giants reversible knit beanie.